Your Freeport home is one of the most important and expensive investments you'll make, so you need to maintain that investment as best you can. And you can easily maintain it by calling the local contractors at Magnum Contracting Group. Our roofing repair and bathroom remodeling services will help to maintain your Freeport home for years to come. You work hard to keep a roof over your head, so when age or the elements damage that roof, you need to get it back in shape ASAP. And to do that, please call Freeport's experienced roofing repair experts at Magnum Contracting Group, and we'll get your roof looking great and functioning like brand new once again in no time flat. What is the first stop you make every morning? The bathroom. And it's likely the last stop you make at night. For that reason, you should be sure to begin and end your days in the best way possible by calling us for our quality bathroom remodeling services. We'll outfit your Freeport home with a bathroom that looks and functions like nothing short of a dream. 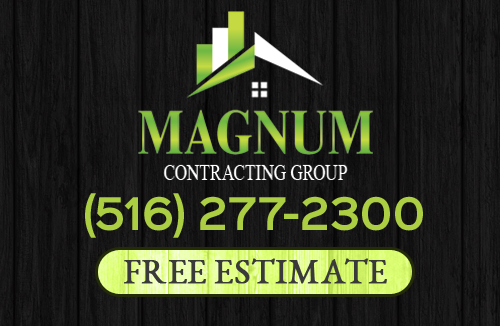 If you are looking for a professional Freeport roofing contractor or remodeling company, give Magnum Contracting Group a call today at 516-277-2300 or complete our online request form.